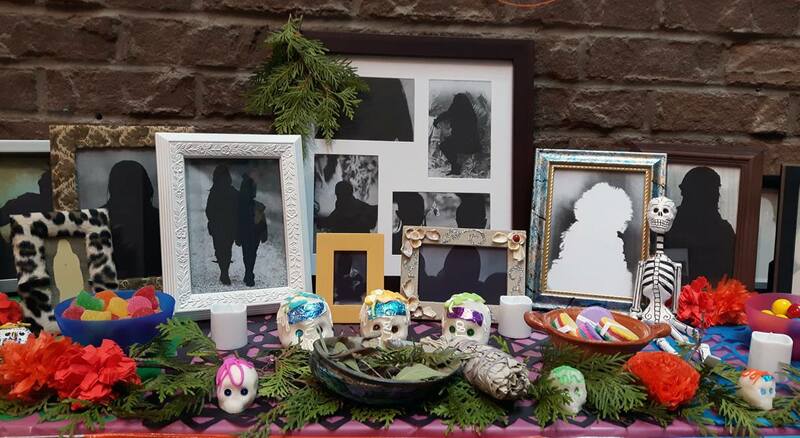 This altar (ofrenda) commemorates the lives of thousands of children who were taken from their homes and sent to Indian Residential schools and did not return home. The Truth and Reconciliation Commission has identified 3,200 deaths in the TRC’s Register of Confirmed Deaths, while other sources estimate that 6,000 children died in the Indian Residential schools. In over one-third of these deaths the schools did not record the children’s names, in one quarter of the deaths the child’s gender was not recorded, and in over half the cases the cause of death was not recorded. 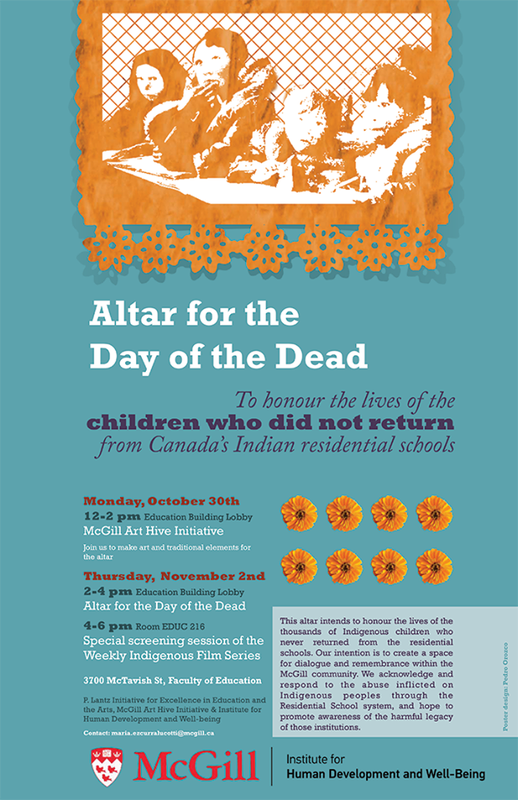 Children at Residential schools died at a far higher rate than school-aged children in the general population. These findings are in keeping with statements that former students and their parents gave to the Commission. They spoke of children who went to school and never returned. The tragedy of the loss of children was compounded by the fact that burial places were distant or even unknown. Many Indigenous people have unanswered questions about what happened to their children or relatives while they were attending residential school. The Day of the Dead (Día de Muertos) is a festive and sacred time in Mexico and some other Latin American countries. This day, the souls of the dead are welcomed back, joined with the living, becoming a celebration of life. Significant objects are placed as gifts to the visiting souls in ofrendas: the altars for the children are set on the eve of October 31st with sweets, fruits and white flowers, while the eve of November 1st is the time to honour the adults. Although many elements of Catholicism were incorporated into the ofrenda after the Spanish conquest, it is considered mostly an Indigenous tradition. 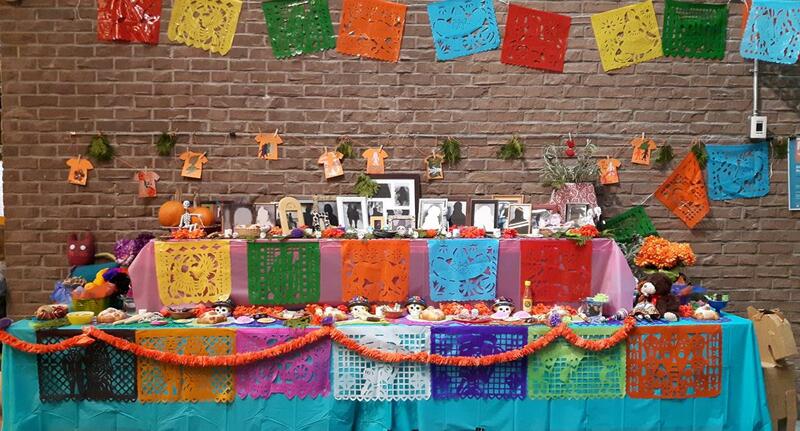 As women artists we want to offer this ofrenda to the Indigenous children who never returned home – for whatever reason. Our hope is to promote awareness on this issue, creating a space for dialogue and bringing the community of McGill together. With this ofrenda installed at the Faculty of Education, we want to acknowledge the traditional territory of the Kanien’kehá:ka people where we stand today, celebrating our ancestors and sharing diverse Indigenous culture with the community of McGill. 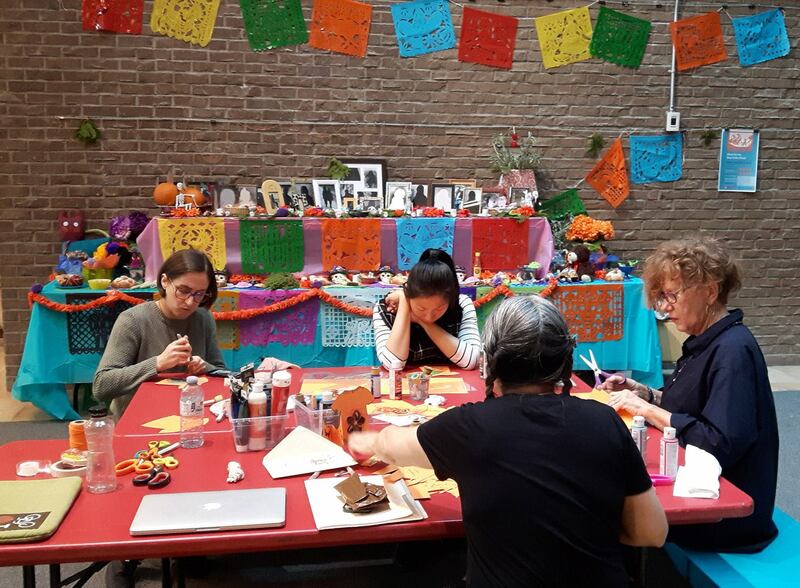 Project by Maria Ezcurra, Haidee Lefebvre and Lori Beavis, supported by the P. Lantz Initiative for Excellence in Education and the Arts, Institute for Human Development and Well-being (IHDW) and the McGill Art Hive Initiative (MAHI).